The bas-relief is the opening of the Holy Door during the Jubilee of 1675. With a pyramid-shaped design by Mattia de' Rossi, the monument is noted for its imaginative multicolored effect, using precious marbles such as yellow and antique green, white ash and black, green jasper and, above all, breccia of seven bases, a truly rare stone, which is used to form the "deposit" (urn). 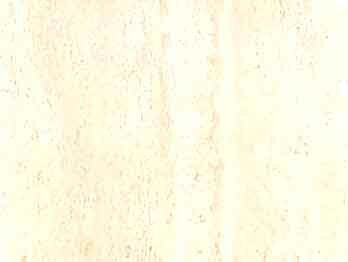 This is the base that supports the white marble statue of the seated Pope created by Ercole Ferrata. At the bottom it is flanked by the figures of "Benignity," by Lazzaro Morelli, and of "Clemency," by Giuseppe Mazzuoli, an artist with a style that is a well-balanced blend of the Bernini and Algardian influences. Mazzuoli gives the draperies of the cloak and the clothes a dynamic flow. The putti that support the sign with the papal insignias are by Filippo Carcani. The front of the sarcophagus, with sides bearing two Baroque scrolls with a skull, presents a bas-relief sculpted by Leonardo Reti, with the opening of the Holy Door during the Jubilee of 1675, an elegant historical scene in period costumes, with an appearance by the Pope's nephew, Cardinal Paluzzi Albertoni, who commissioned the monument. 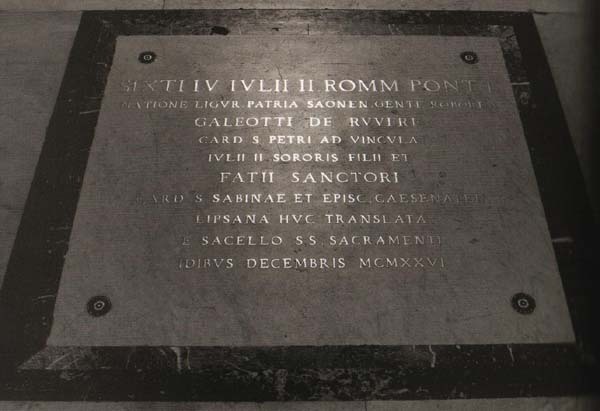 In the floor in front of the monument to Pope Clement X, under a simple tombstone, lie the remains of Pope Sixtus IV and Pope Julius II, together with those of two cardinals from their descendants, Fazio Santoro and Galeotto della Rovere. 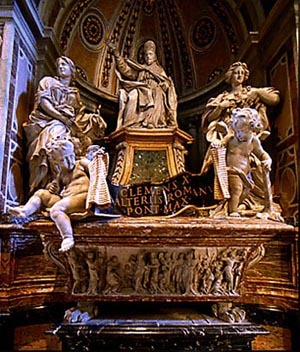 The remains were discovered after the grandiose funeral bed of Pope Sixtus IV, which today is found in the Treasury Museum of the Basilica, was removed from the Holy Sacrament Chapel. Pope Julius II, the great Pope who requested a majestic mausoleum in the center of the apsidal branch of St. Peter's, according to the design by Michelangelo, ended up with the most humble of burials, even if his memory is perpetuated, not only by his activity during his life and his patronage (as demonstrated by his portrait painted by Raffaello) but also by the cenotaph executed by Michelangelo in the church of St. Peter in Vincoli, decorated by the famous Mosè. Died at age 86 of dropsy followed by a malignant fever. Monument inscription: CLEMENS X / ALTERIVS ROMANVS / PONT. MAX.